No, not that one. Ours. 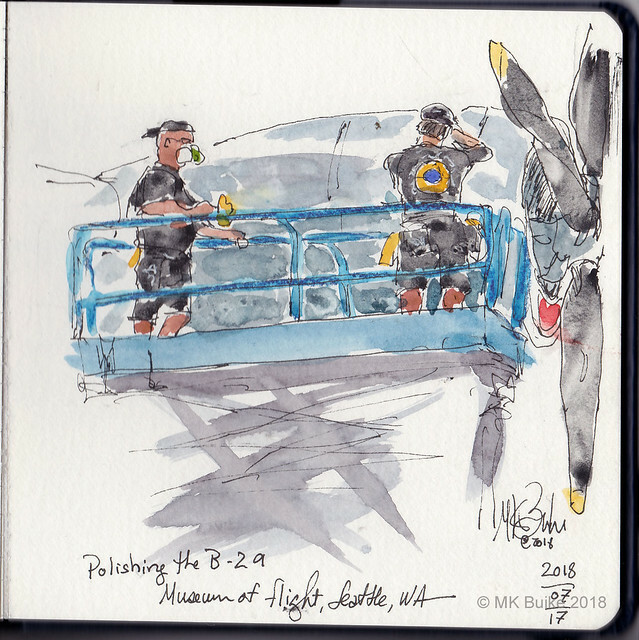 That would be the first jet Air Force One at the Museum of Flight. 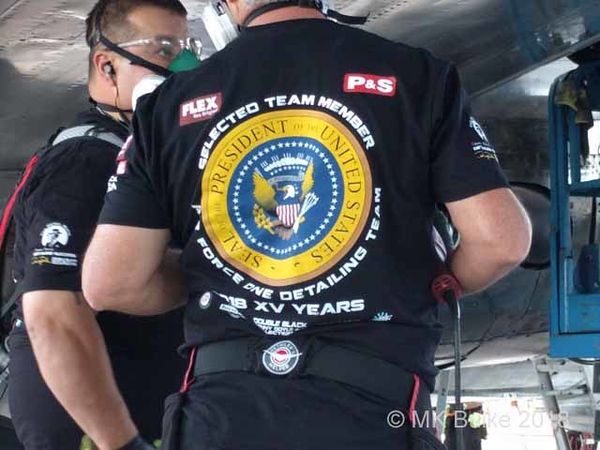 It's the arrival of the 15th Annual Air Force One Detailing Team organized by master detailer Renny Doyle. http://detailersofairforceone.com/ (the video is several years old now). 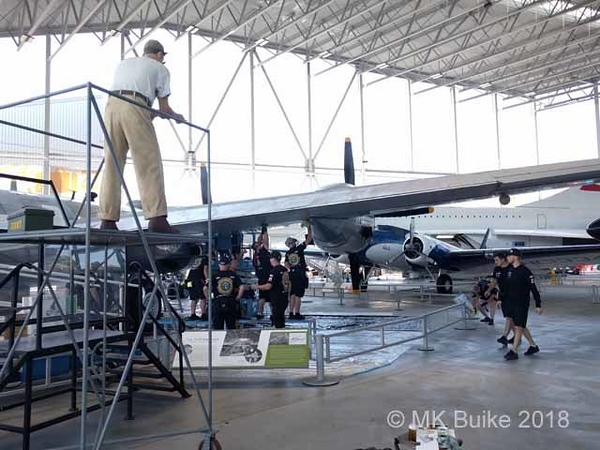 This elite crew is donating their time and skills to keep the aircraft looking good! How elite are they? The crew came from all over the country. They are all volunteers, some using their vacation time for this service. From 900 applications only 65 were chosen. That's why it says ""Selected Team Member" on the back of their shirts. The group has been doing this for 15 years! Jimmy is slacking off. This statue is usually up close seeming to work on the aircraft. 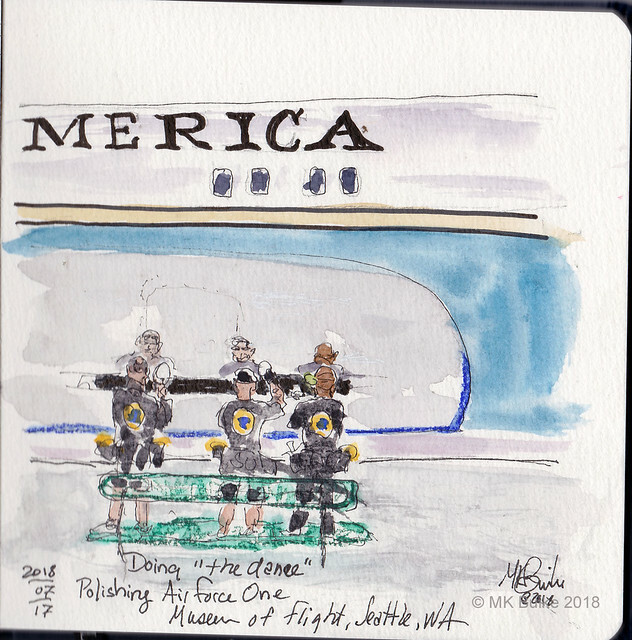 Final sketch was of three workers doing what another referred to as "the dance". 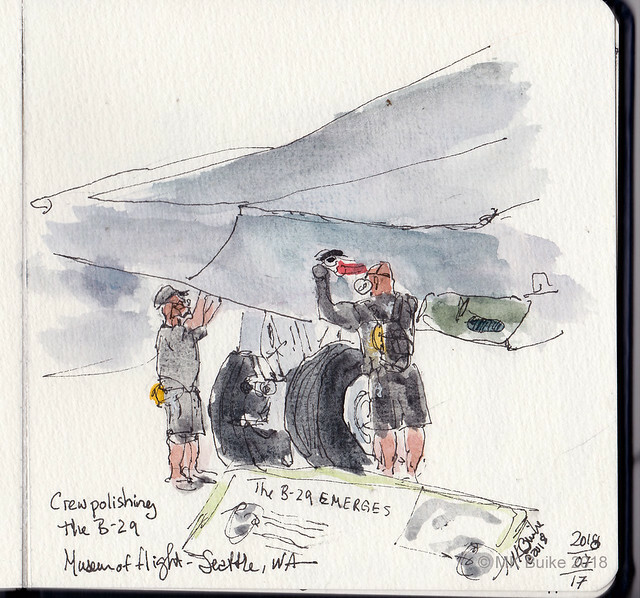 They move in unison to polish Air Force One. The dark strip is some material applied and then polished off. It's so shiny their reflections can be seen above them. My brother was on the detail team last year and this year. You may have seen him amongst all the detailers.